Intensifying droughts in the Amazon basin are now a primary determinant of increases in forest fires, a reality that will hinder Brazil’s efforts to curb greenhouse gas emissions solely by limiting deforestation, according to a new study published in Nature Communications. An international team of researchers led by Luiz Aragão of Brazil’s National Institute for Space Research (INPE) combined satellite data with greenhouse gas emission inventories and historical climate data to assess and compare the impact of drought and deforestation on forest fires in the Brazilian Amazon between 2003 and 2015. They found that forest fires are becoming increasingly common, and they linked that increase to more frequent and severe droughts in the region. Those fires release a massive amount of greenhouse gasses to the atmosphere: the team calculated that forest fires in Brazil currently release around 450 teragrams of carbon each year – roughly one third the emissions produced by Amazonian deforestation. 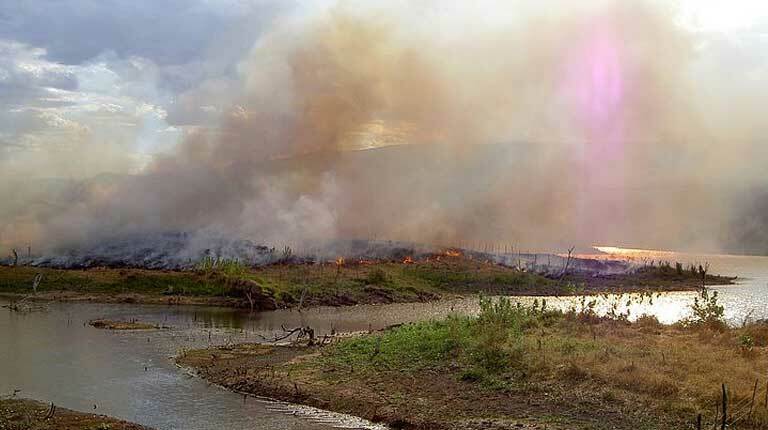 Despite a 76 percent decline in deforestation rates between 2003 and 2015, fires were 36 percent more common during the 2015 drought than in the preceding 12 years. The study adds weight to research published in 2015 suggesting that a previously reported link between deforestation and an uptick in forest fires is beginning to become less important than the link between forest fires and drought. “The authors did a really good job in showing that during droughts, fire activity increases disproportionally across the Amazon ­– even when deforestation rates are in decline,” says Paulo Brando, a researcher at The Amazon Environmental Research Institute (IPAM) and the Woods Hole Research Center, Massachusetts, U.S.
INPE’s Aragão says he was surprised to find that increases in forest fire rates were decoupled from deforestation to such a high extent: “This is a critical result, as policies for curbing deforestation will not be effective for reducing fires if the processes are not connected” with escalating drought due to climate change. Although the new study doesn’t quantify the reasons for this decoupling, Aragão suggests that severe forest fragmentation, caused by human activity, makes it easier for fires to spread into neighboring forests during drought, meaning that curbing deforestation has little benefit in preventing wildfires. Amazonian forests hold an estimated 269 miligrams of carbon per hectare, which can be released into the atmosphere as carbon dioxide during a forest fire, adding to global warming. The El Niño Southern Oscillation (ENSO) is a naturally occurring climate cycle that alters global weather patterns when it brings warm water to the central and eastern Pacific Ocean. 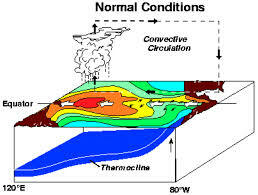 (During the opposite La Niña phase, cooler waters flow to the same areas.) These changing ocean temperatures alter the strength of trade winds and during an El Niño result in lower rainfall over the Amazon basin. The last El Niño peaked in 2015, and was linked with one of the most severe Amazonian droughts ever recorded. 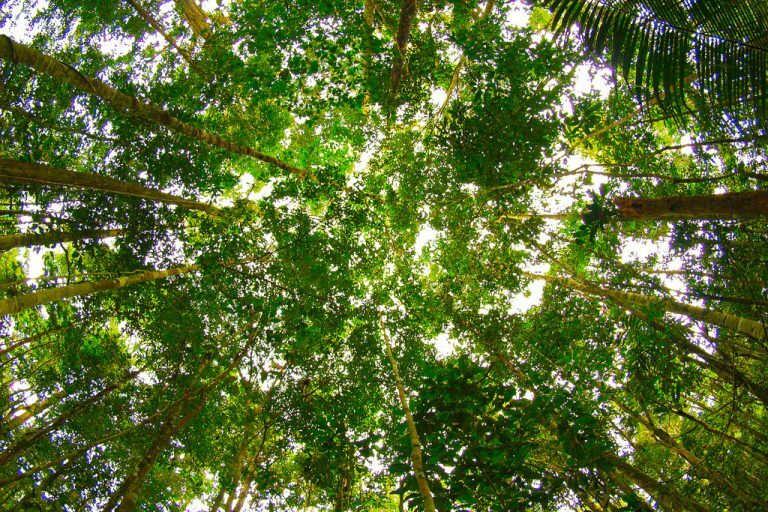 Tree death due to the drought was so severe that the Amazon rainforest – the lungs of the planet – ceased to absorb carbon dioxide altogether, though the Amazon began to function as a carbon sink again after the event. Aragão found that this powerful ENSO combined with two other oceanic processes to produce 2015’s unusually severe drought. The Atlantic Multidecadal Oscillation (AMO) and the Pacific Decadal Oscillation (PDO) alter ocean temperatures in the Pacific over much longer time-scales than ENSO (cycling over tens or hundreds of years), but the three cycles coincided in 2015 to produce a particularly dry year. During that drought, many Amazonian trees died or shed their leaves, providing large amounts of tinder for fires. “Forests, exposed to drier and hotter climate, [produce] an increased amount of fuel, turn[ing] Amazonian forests into a fire prone system,” the INPE researcher says. Climate change is expected to enhance the natural swings brought by ENSO, AMO and PDO cycles in future, meaning that the Amazon can expect more droughts like the one it saw in 2015, according to Aragão. The synergy between increasing drought, dryer forests, and more fragmented forests helps create the fuel needed for fires. However, there is another key component required to make more forest fires happen: a source of ignition. The majority of wildfires occurring in the Amazon today, are ignited by people, says Aragão. Typically, they are set using slash-and-burn techniques by local labor hiredby wealthy elites to do pasture clearing. 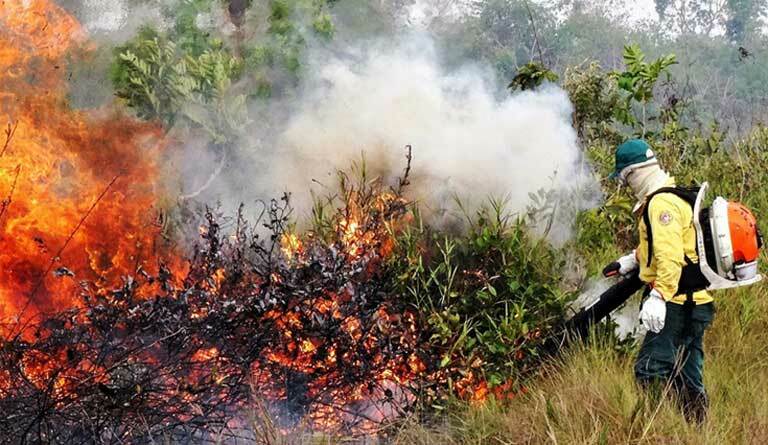 Used in this manner, fire becomes a significant deforestation driver, a complex problem propelled by land thieves, cattle ranchers, Brazilian meat processors, along with the world’s insatiable demand for beef. 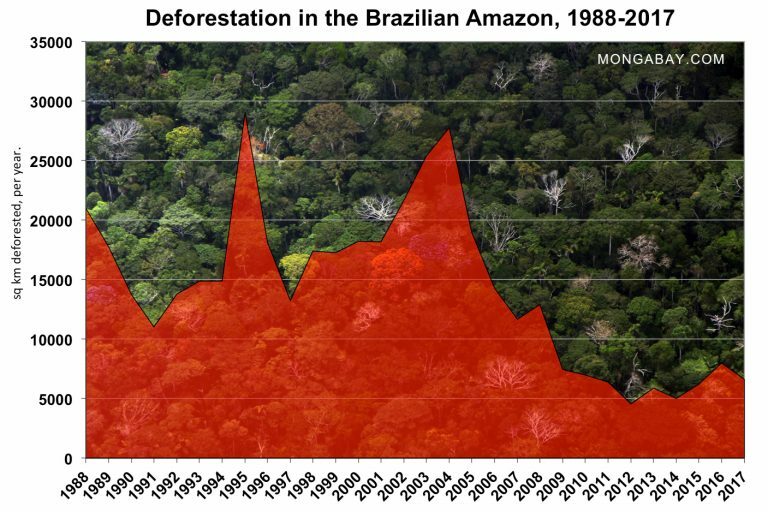 Meanwhile, the Brazilian government offers only weak enforcement to prevent this intentional deforestation, and under the Temer administration has heavily defunded environmental enforcement and firefighting agencies. 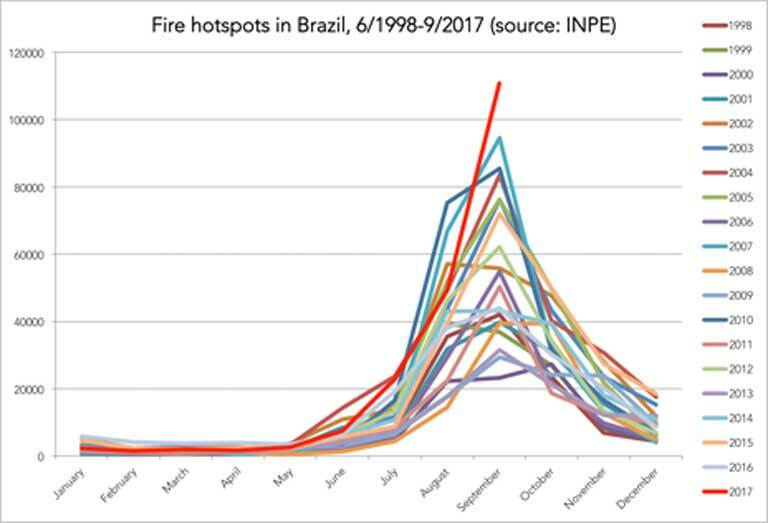 “With more droughts, it is very likely that fire incidence will also increase if no policy actions are taken to curb ignition sources,” Aragão predicts. “To reduce the likelihood of wildfires, we need to reduce deforestation and have an aggressive strategy to transition from fire-dependent agricultural systems to fire-free ones,” agrees Brando. 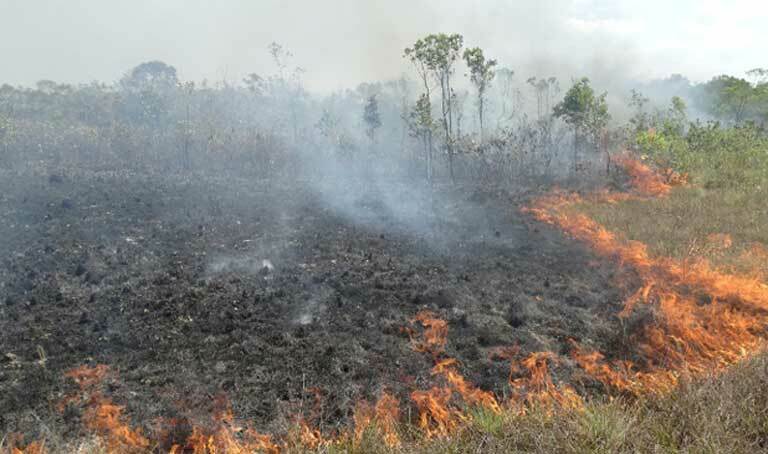 The researchers say the Brazilian government should seek to become more aware of changing fire dynamics in the Amazon, and plan mitigation strategies that increase forest resilience against drought, including the curbing of forest fragmentation, while simultaneously preventing deforestation due to cattle ranching, soy production, and for other agricultural purposes. The maintenance of healthy, intact forests, they conclude, is the only way to help assure ecosystem resilience in the face of intensifying climate change-driven droughts, to prevent more forest fires, and hold down greenhouse gas emissions. If climate change continues to worsen unchecked, and forest degradation continues unabated, then Amazon fires are likely to increase. Those fires would also increase the release of carbon, worsening climate change, which in turn could intensify Amazon drought even more, leading to even more fires.